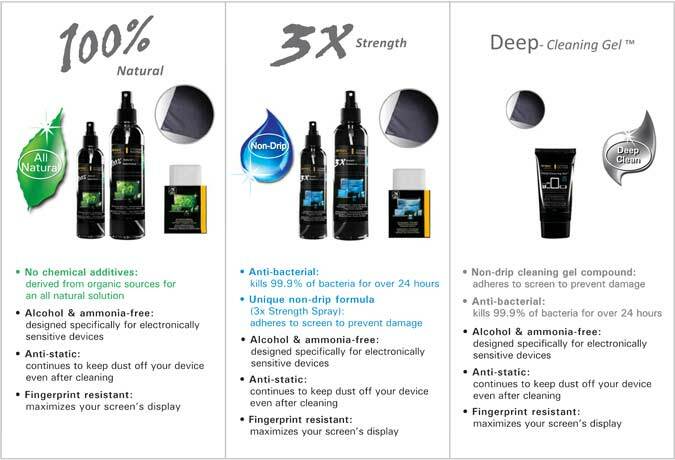 Introducing Cleaning Solutions from Antec Advance, a series of products designed to keep your electronic devices flawless and dust & debris-free. Cleaning Solutions come in a variety of forms including wipes, spray bottles and gel, and they are available in different sizes for convenient home and on-the-go use. Choose from our 100% Natural, 3x Strength and Deep Cleaning formulas for your monitor, smartphone or whatever needs a touch-up. All products are alcohol- and ammonia-free, with anti-static properties that help keep dust off even after cleaning. To keep your monitors and devices flawless and functional, turn to Antec Advance Cleaning Solutions: the best solution for a clean screen! other products such as eyeglasses, mirrors, jewelry, etc. A delicate but practical solution for keeping your touchscreen shiny and clear. 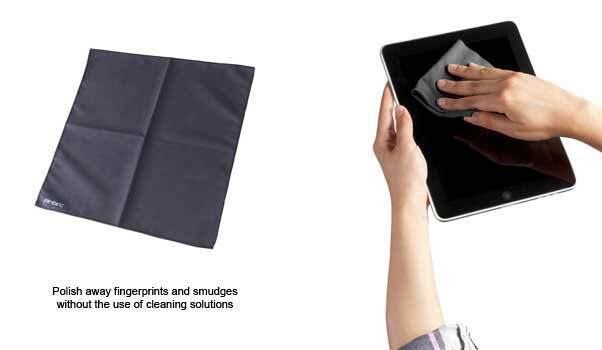 This 30 cm x 30 cm polishing cloth is designed to wipe smudges off your screen without the use of any cleaning solutions. Created with the Antec Quality of our cases, power supplies, and other products, the XL Microfiber Cleaning Cloth keeps your touchscreen looking its best.